We as Urban Jungle Bloggers share our love for plants, they bring us closer to nature, to our roots, even in the middle of the city. But we also share our love for nature. Being a plant lover and not caring about our environment seems like a very absurd combination, right? So yes, we love our environment and we love to make conscious decisions to save our environment wherever possible. So it’s no wonder that the new #LoveNature campaign by Brabantia, a brand for beautiful home products, caught our attention. 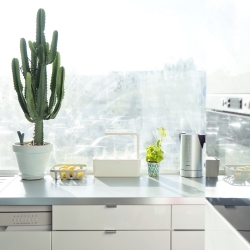 What’s it all about this new green campaign by Brabantia? It’s easy and it’s so wonderful: The idea behind the #LoveNature campaign comes from a very mundane activity – laundry drying. If you let your laundry dry naturally and let the sun and wind do the job, you will not only save energy but also save our environment. The core idea stems from one of Brabantia’s signature products, the rotary dryer. 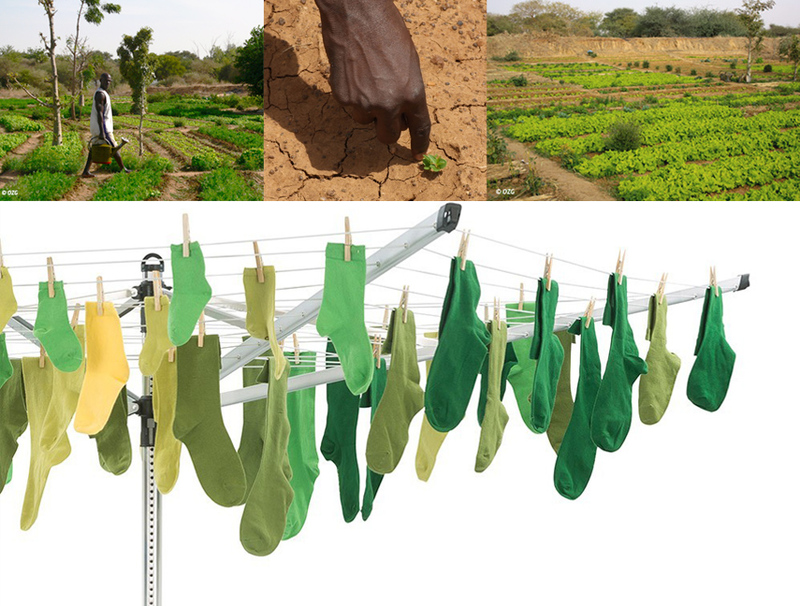 But instead of focusing on selling for charity, they decided that yes, if you buy a rotary dryer, they will plant a tree in Burkina Faso; but they will plant a tree for any person of your choice regardless! No purchase required! And that’s what we love about it – it’s a true and honest commitment to nature. Why wait? Tell Brabantia to plant a tree for a loved one – after all, isn’t it wonderful to tell them that a tree is planted in Burkina Faso in their name? 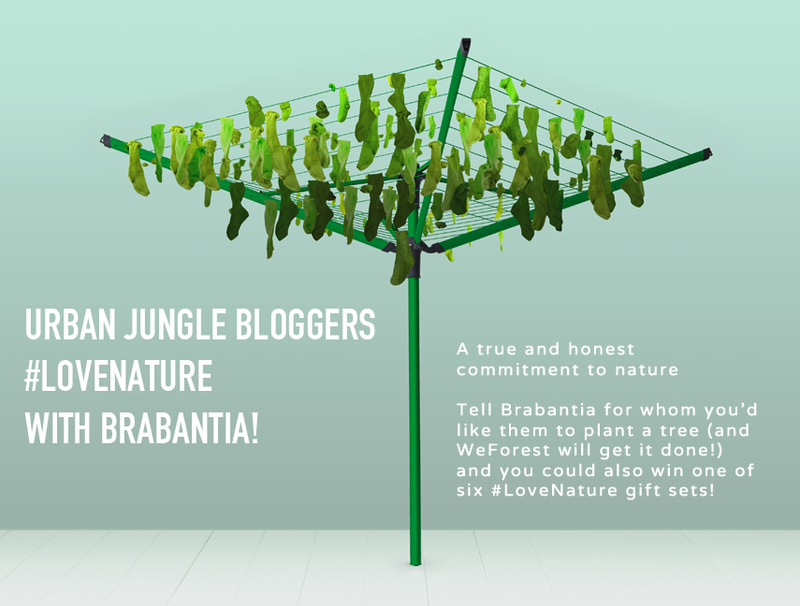 Brabantia has also enriched the #LoveNature campaign with a giveaway. You can enter the giveaway by checking the box ‘Would you like to win a LoveNature gift set?’ and come up with a creative green slogan. 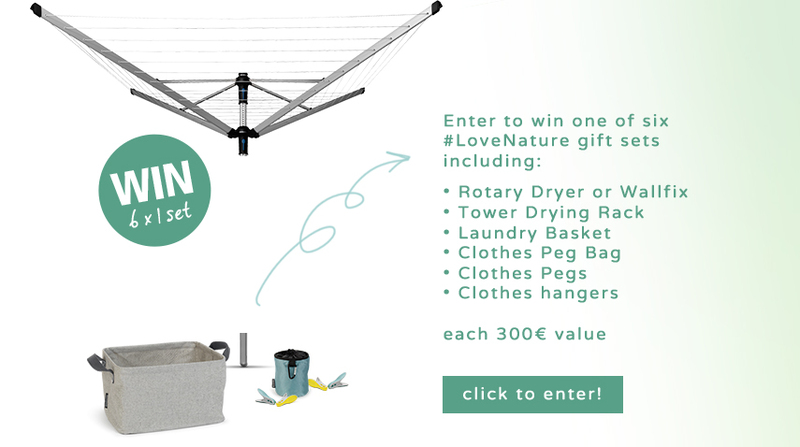 If you do so, you are in for a chance to win one of six #LoveNature gift sets, each 300€ value. So we are off planting a tree virtually with Brabantia. You can join in HERE.